For the dance film essay The Body as Archive Gregor Schwellenbach chose a simple yet radical approach: he created a kind of catalog of sounds, clearly structured, presented with sobriety and boldness. The sounds are not embedded in the familiar frame of rhythm-harmony-melody; rather, they are introduced smoothly, presented one after the other, sometimes going together, then standing alone. It is a sensual approach, at the same time executed strictly systematically. 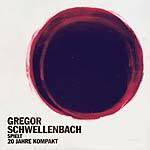 Or vice versa: Schwellenbach's composition is strictly systematical, giving maximum space for sensuality and the unfolding of sounds. Schwellenbach strives to create a system that doesn't become rigid, by treating the material gently and with sincerity. 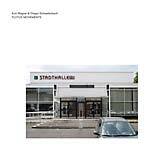 In composing The Body as Archive he sets clear rules: everything is played by hand, he only uses instruments he plays himself: keyboards (Rhodes, piano, synthesizer) and double bass. Almost all material is played in the same key, the chords can be used in any combination, everything fits to everything. 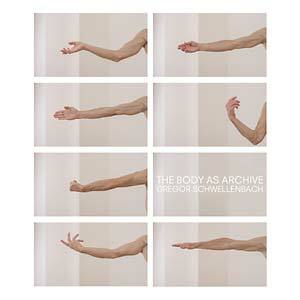 The ten parts of The Body as Archive, mastered by Taylor Deupree, could be played all at the same time without sounding cacophonous. Everything is pure presence, a gently woven stream of elegance and attentiveness. The organization of sounds -- usually an action of preparation, didactic and discipline -- turns into poetry.